Today I am announcing a winter 2012 call for submissions for the next anthology album of tracks by artists inspired by or who incorporate ritual and magick in their work. 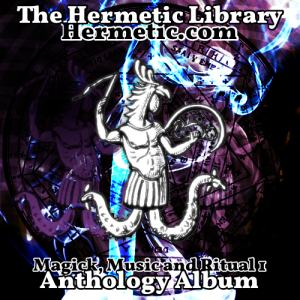 These anthology albums help promote artists to the audience of the Hermetic Library and beyond. These albums raise awareness about the connection between ritual, magick and music. Check out the previous release, help spread the word about the anthology albums and this new opportunity to participate to those you think may be interested, but first and foremost consider contributing to this next anthology! The Hermetic Library at Hermetic.com has an overall vision of Archiving, Engaging and Encouraging the living Western Esoteric Tradition. This last year, as a project of the library, I created a group at SoundCloud, the Hermetic Library audio pool, for tracks and artists inspired by or manifesting the Western Esoteric Tradition. With that group I’ve been working to raise awareness that music and performance can be a form of ritual and magick. The group has been a space for artists to share their music and other audio, as well as connecting artists who feel drawn to these topics and ideas, or, especially, incorporate and manifest ritual and magick in their works with other artists and a larger audience. On Dec 3rd, the first ever Hermetic Library Anthology Album was released. If you have not already, head on over to check out The Hermetic Library Anthology Album – Magick, Music and Ritual 1. This first anthology is a great 15 track selection over 66 minutes that goes from ambient and atmospheric, transitions to several vocal tracks and starts to hit really hard building beats to some rock and rap and then finishes out with a bit of noise to bring it full circle. It’s a broad selection from several genres that all work well together, and all by artists inspired by the Western Esoteric Tradition. Those who picked up the pre-release also got as an incentive an additional 2 part track which brought the whole to 1.5 hours. And, not only was the whole selection on the album fantastic, but a number of tracks were exclusive, unreleased and/or created specifically for the anthology. I encourage you to check out the Hermetic Library at Hermetic.com, if you aren’t already familiar with it, as that site and related blogs are the central place where this benefit album will be promoted and may also offer inspiration. The site was started in 1996 and has ever since consistently been an extremely popular resource for students and researchers interested in the Western Esoteric Tradition. You may also wish to check out other posts at the Hermetic Library blog and the Twitter and Facebook reflections to see how the library engages people in a living Western Esoteric Tradition. 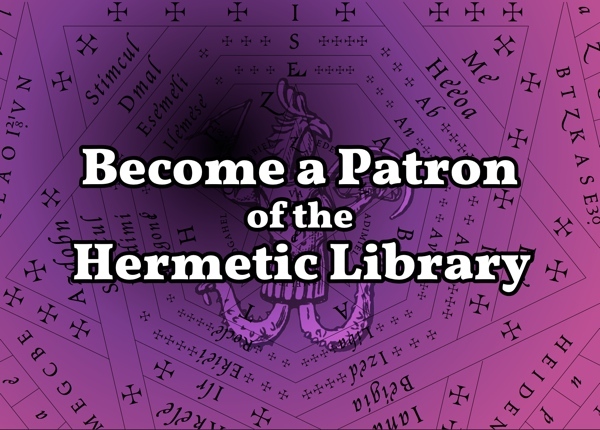 Please consider joining the Hermetic Library in promoting your work by contributing to this benefit anthology album project. All proceeds from album sales will support the library to help cover hosting costs and other expenses like materials acquisitions. Deadline for submissions is Jan 15th, 2012. Release is TBD, but currently planned for early Feb, 2012. If you have any questions, comments or wish to contribute to this project; contact the librarian. This album will be made available as a “pay-what-you-want” download via Bandcamp, but no single-track downloads, with a reasonable but low minimum. All proceeds will go toward supporting the work of the library. The anthology will also be available via iTunes and other digital distributors for a fixed price TBD. I will also make available a professionally-produced, physical CD for those who want to have a physical copy. Further, there may also be a special, limited edition album for those who want a collectable version of the anthology in physical form that includes a selection of tchotchkes and perhaps even an exclusive poster. Contributors to the anthology will be given a code for a free download of the anthology and, if revenue from sales allows, a complimentary physical CD of the anthology. Artists agree to release their track non-exclusively on this anthology, selected from two or more tracks submitted to the library. All submitted tracks for this project should be in high quality, lossless .WAV or .AIFF format. Contact the librarian for information and arrangements about how to upload submissions. 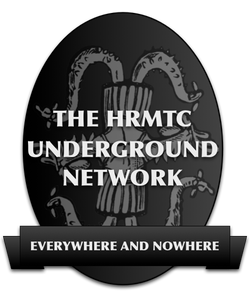 Information about each artist will be featured in posts to the Hermetic Library blog and in a dedicated section of the library website. When submitting tracks for this anthology, each artist can provide biographical information, liner notes for the track (including information on whether this track was created exclusively for this anthology) and an URL to their primary site that will be used to promote the album. Artists in turn agree to promote this benefit album through newsletters, websites, social networks, and other means available. Artists will retain all rights to their work other than as part of this anthology, which will be made available with “all rights reserved.” Artists grant a limited license to sell their work on this anthology with all proceeds going to the library. Artists retain all writer credits. Submitting a track will constitute a release licensing 100% of the master recording, publishing, name & likeness and other related rights to the track for the purpose of this benefit album, with indemnification for the project and assigning all revenue generated by the sale of the album to the library. Artist agrees to enter into a release on the above terms and conditions upon request. Artist is responsible for registering their work for performance royalties (if applicable). This entry was posted in Hermetic Library anthology, Hermetic Library audio, The Hermetic Library and tagged 2012, anthology album, magick, music, ritual, winter on December 15, 2011 by John Griogair Bell. 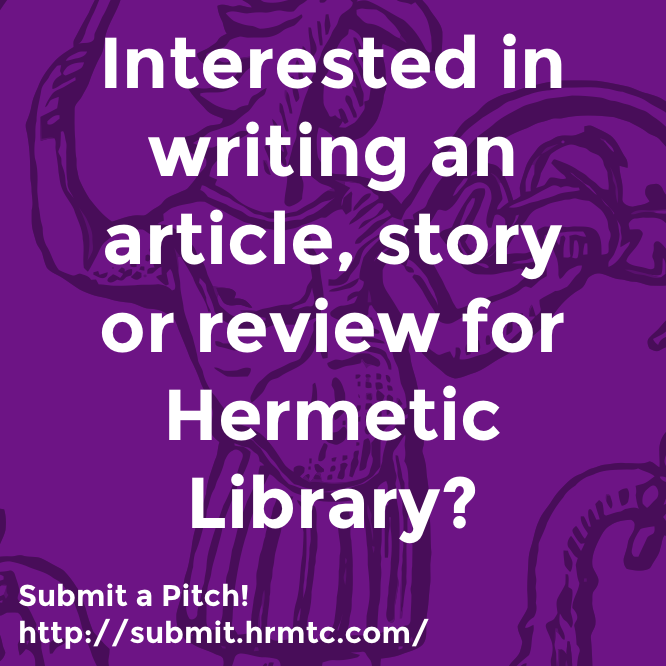 Pingback: The Hermetic Library Blog › Deadline for submissions to the winter 2012 anthology album rapidly approaching but there is still time to participate!